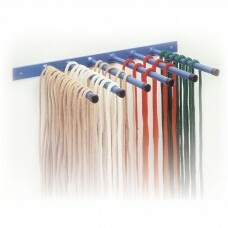 Get yourself organised with this simple wall-mounted storage rack. 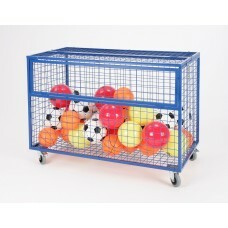 The PVC-covered steel unit will store up to 14 rackets and is easily affixed to an..
Robustly constructed throughout from 4mm close-meshed welded steel wire with 6mm frame and suitable for the storage of a wide range of bulky items par..
A capacious and versatile storage trolley with both fixed and removable storage and suitable for a wide variety of products. A large fixed storage .. The heart of your storage system. 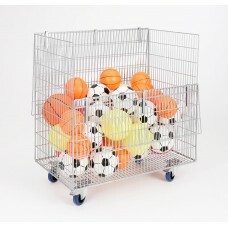 This welded steel mesh basket has a white powder coated finish. 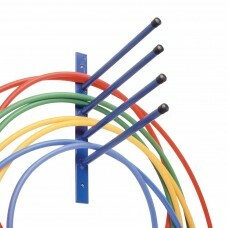 It is supplied flat pack, complete with lid and cas..
A simple alternative to a hoop trolley, this Hoop Rack can be affixed to any convenient vertical surface. 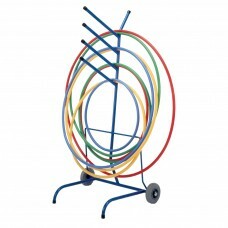 Capacity is 100 hoops approx. 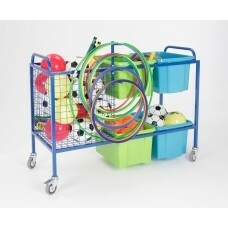 (wall fixings..
A special trolley for a special product. 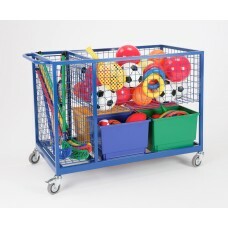 Our blue powder-paint coated steel trolley is designed to transport and store up to 100 hoops of varying siz..
A large heavy duty multipurpose storage trolley with a large full height container suitable for hoops, hockey sticks, rackets and other awkwardly shap..
A very versatile and sizeable storage trolley with 4 removable plastic storage boxes and a large integral wire storage container suitable for more bul..
A heavy duty wire mesh storage trolley on 4 castors 2 of which are braked and with a drop down front section for ease of access. A retaining chain is .. 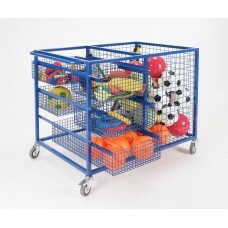 Ideally suited for use in primary schools, this Trolley is supplied complete with 4 wire baskets in primary colours, with an end storage section suita..
A multipurpose storage trolley supplied complete with 4 large removable coloured plastic storage boxes, integral cane/pole storage. Easily manoeuvred..
At last! A simple, common sense, realistically priced solution to your storage problems. 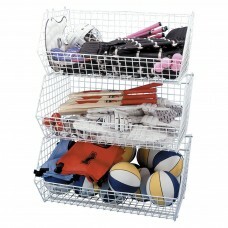 Capacious white wire mesh storage bins that can be used sin..